People will always need certain equipment from time to time. On the other hand, there are those who don’t want to own these equipment completely. That’s because they know they’re not going to be using them that often or they know they’re only going to be using it once. What they can do is take the option of leasing these equipment instead of buying them. However, these people who want to lease these equipment need to sign forms that guarantee that they’re able to use them, but for a fee that should be paid over periods set by the seller. So how would they make sure that these leases are official? 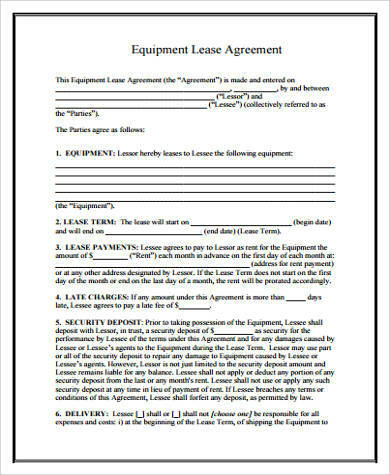 One thing that can help them is the right Equipment Lease Forms. 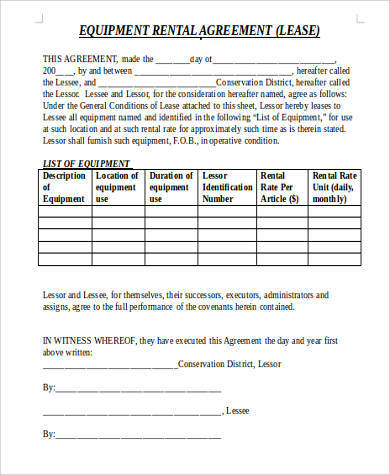 Equipment Lease Contract Forms are forms that are utilized by those businesses that need to form a contract with their client before they’re allowed to lease any kind of equipment. 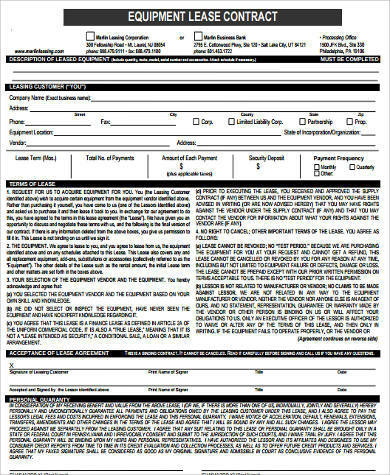 These forms usually state as to what these clients may do with the equipment, the payment method they’ll need to do, the amount they’ll have to pay in a set period of time and more. 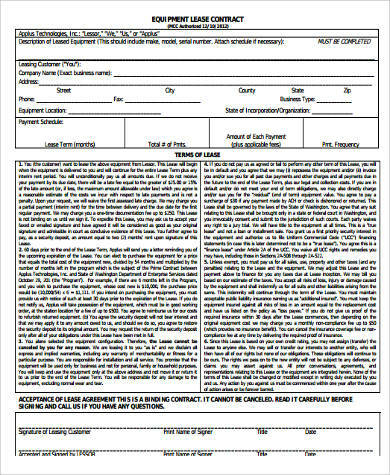 If the buyer has no issues with the contract, then he may sign it. Otherwise, if the buyer has certain issues, then that person may decide to cancel the deal altogether. 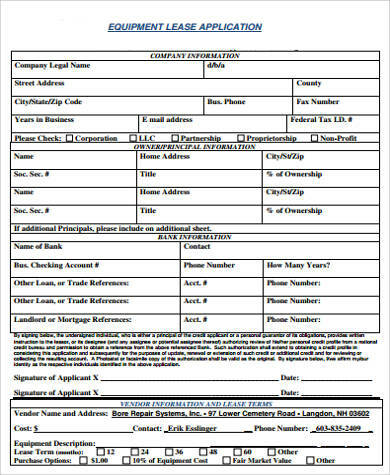 Equipment Lease Application Forms are used by those that want to apply for an equipment lease on certain companies. There are some pieces of equipment that might prove to be too dangerous or too complex to handle, which is why companies that have these equipment make their clients use these forms so that they can make negotiations. That means the person will have to provide all the necessary information such as his company’s name, the company’s address, his name along with his other personal information, and much more. Knowing how much renting a piece of equipment will cost is very important to a buyer. 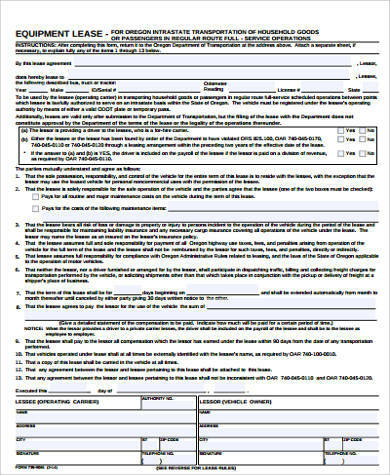 This is why forms such as Equipment Lease Agreement Forms exist. 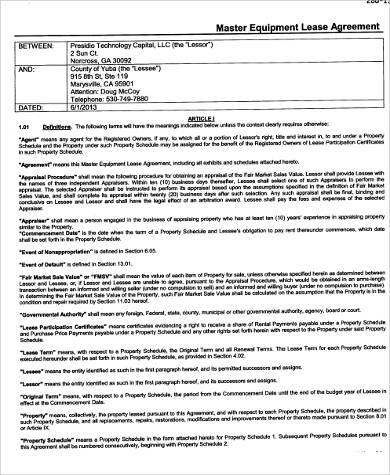 They intend to help the buyer with matters concerning what kind of deal they’re getting at if they decide to agree to the equipment lease. This allows them to see to crucial details such as when they have to pay and how much they have to pay. 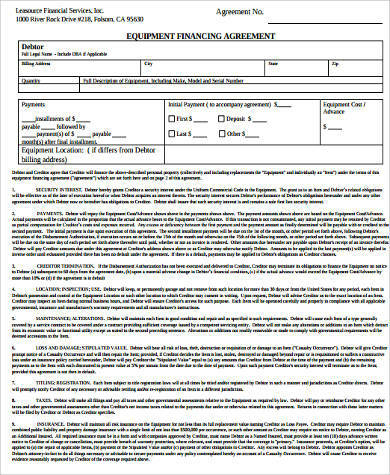 If the customer is satisfied with the agreements, then they may use these forms to finalize the deal with the company. If not, then there’s the possibility that both can come into negotiations or the customer can find more opportunities elsewhere. These don’t just help out the client but the company leasing out the equipment as well. 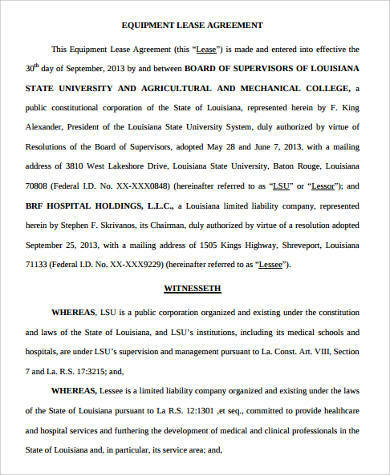 These forms help them out as to who they’re leasing these equipment to, along with what purpose these people are leasing the stated equipment for. If they see that all the necessary information is provided and that there are no issues, then they may proceed with leasing the equipment to the client.